Money-saving deals with FREE accessories in every package. Multi-purpose buffers for scrubbing, stripping, or light polishing of hard surface floors & carpets. Perfect for getting that high-gloss, “Wet Look” shine on dry, hard surface floors. 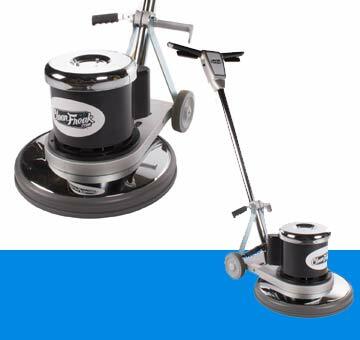 Buffers with both low & high speeds for scrubbing, stripping, or light polishing of hard surface floors & carpets. 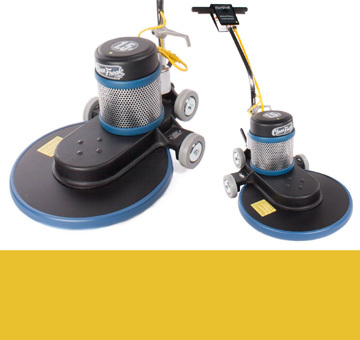 Accessories in a variety of sizes to fit virtually any floor buffer machine. 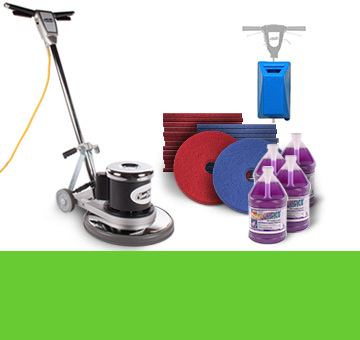 Floor care soaps, degreasers, waxes & other solutions for all your floor buffing needs. FloorBuffers.com offers rotary and orbital style machines with cleaning paths ranging from 12 inches to 20 inches. With additional options like dual-speed buffers or high speed burnishers, commercial floor maintenance is our area of expertise. Call our team of customer care professionals at 1-855-242-9027 to get the buffer that’s best for your business.